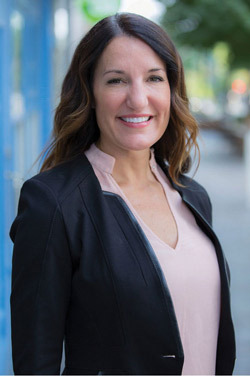 Prior to joining UWSL, Erin practiced law in San Diego for several years, during which time she also provided pro-bono services through the San Diego Volunteer Lawyers Program. Thereafter, Erin joined the Economic Development Corporation of Utah, working with government officials/agencies, local, national and international businesses to help create economic opportunity throughout the state of Utah. Most recently, Erin led philanthropy and strategic partnerships for the Girl Scouts of Utah. Erin graduated with a Bachelor of Science in Economics from the University of Utah and her Juris Doctor from the Thomas Jefferson School of Law in San Diego. Erin is proud to serve as Board Chair for Voices for Utah Children, Vice-Chair for the Utah Arts and Culture Coalition, and on the Advisory Board for KeyBank. Outside of work, Erin loves spending time with family, training for and running marathons, traveling around the world with her husband Shawn, and exploring the outdoors with their dogs Heidi and Hank.